Our alphabet learning this week concentrated on learning all about letter/y/. Y is for Yak that is! 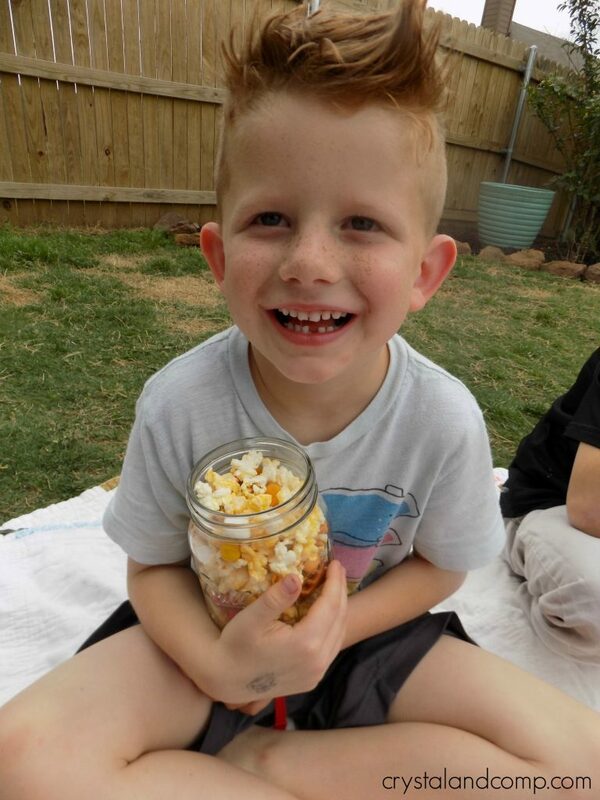 Each week if you have tuned in you have seen all of the awesome crafts and projects we have done with our letter learning as well as all of the yummy snacks too! 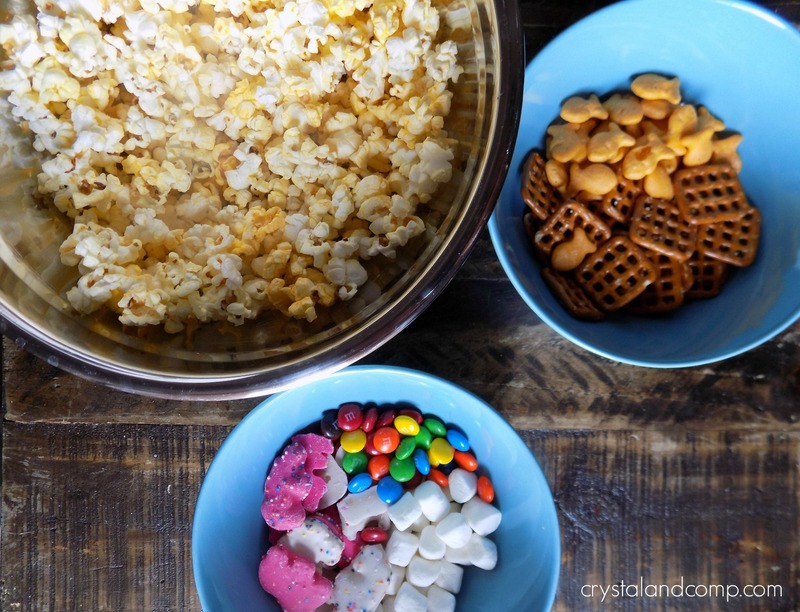 The snack makes things just as fun as the arts and crafts and is certainly a kid favorite in my house! This is how we made this week’s yak animal cookie snack mix for letter /y/ and it only took a few minutes! 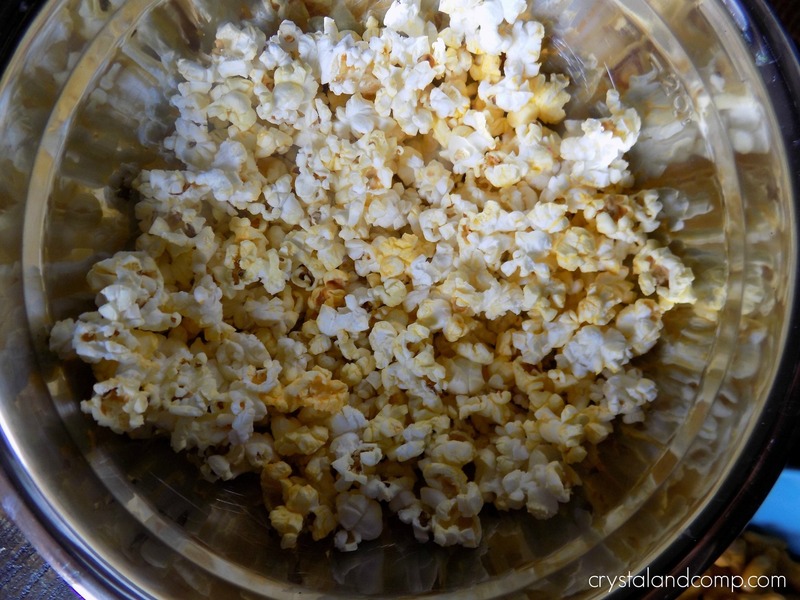 First we started by popping our bag of popcorn and then poured it in a bowl to let it cool. Letting it cool for a couple of minutes will keep the icing and M & M’s from melting all over it! We then started adding our other goodies! 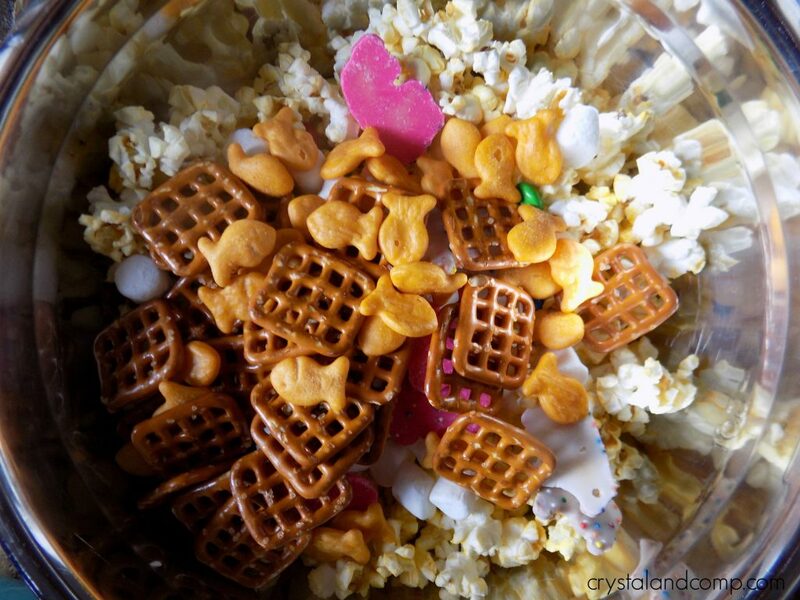 So go ahead and pour in your Goldfish, pretzels, marshmallows, cadies, and of course don’t leave out those delicious animal cookies! Then give it a good mix! Now it is time to serve it up to those kids that just can’t wait to chow down! This snack is so handy for heading out the door. I also stored some in a couple of jars to save for later! 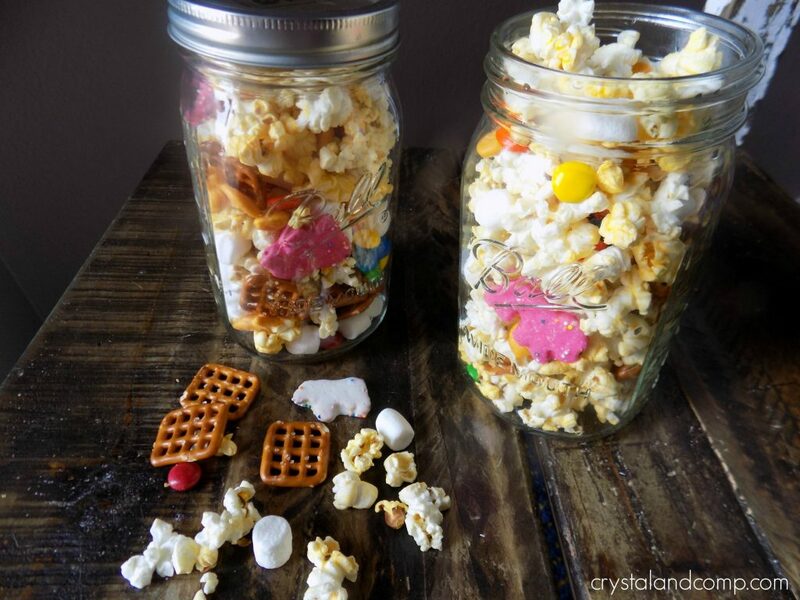 This snack was a hit! So much we enjoyed some seriously giggles while eating it too!